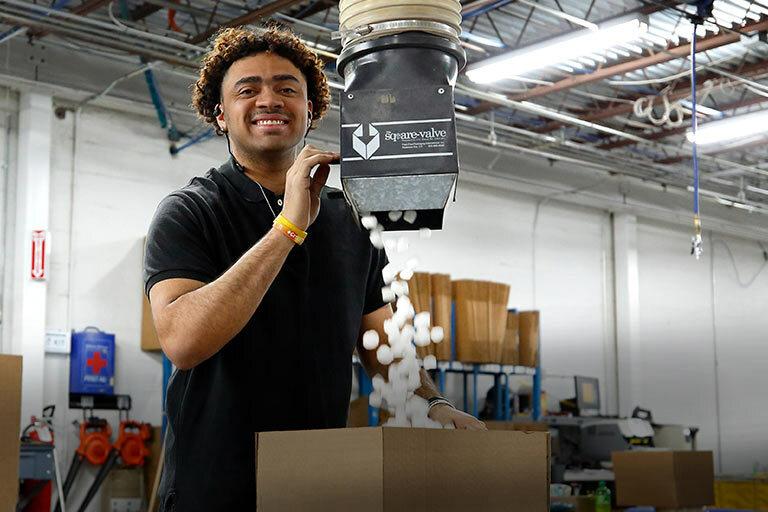 PSB's founder Paul Barton paid our headquarters a visit when we picked up the company's renowned speaker line. PSB's founder Paul Barton paid our headquarters a visit when we picked up the company's renowned speaker line. 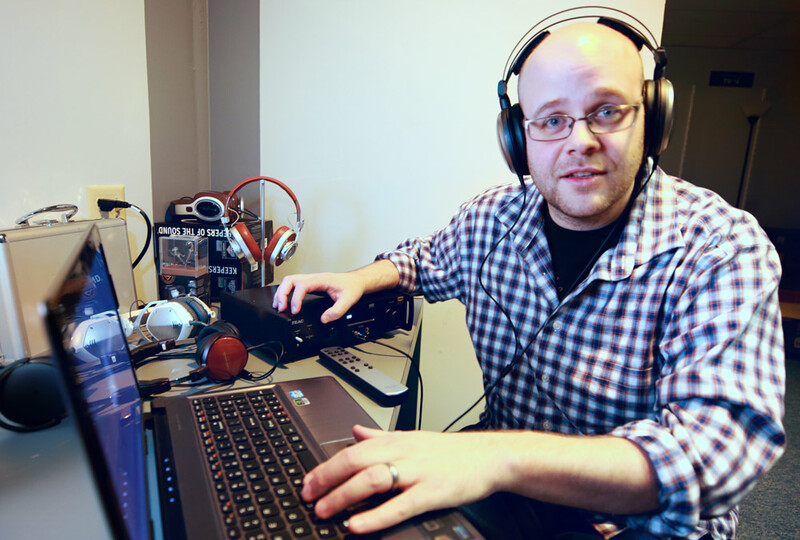 I came away from his training thinking "wow, these guys really love making speakers!" Barton's passion for excellence is reflected even in PSB's modestly priced models. The CS610 delivers smooth, clear sound that's ideal for an in-ceiling music system. 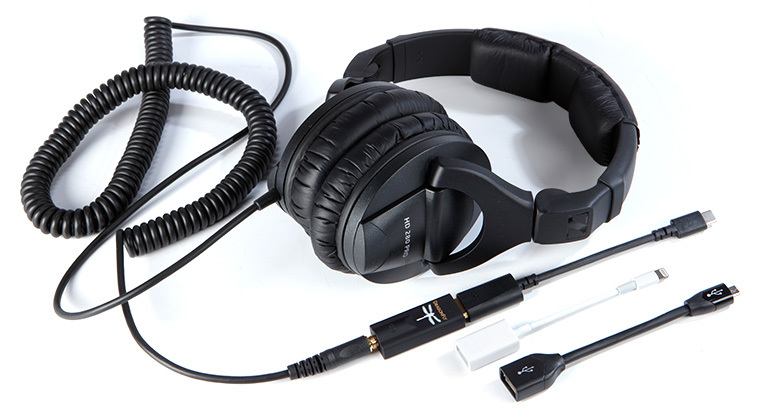 Or, use a pair for your home theater's surround or Dolby Atmos® overhead effects channels. 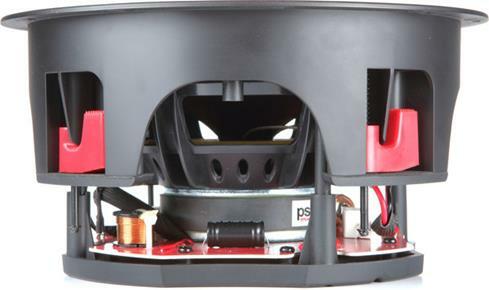 PSB's CS610's high-quality voice coils and crossover network combine for clear, crisp sound. I love how PSB combines detailed musical performance with a sleek design. 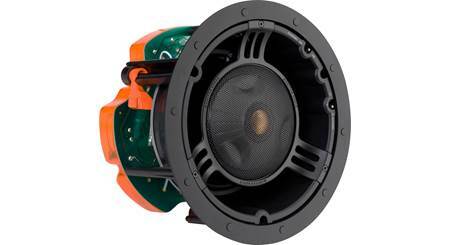 The '610 includes both square and round magnetic grilles. 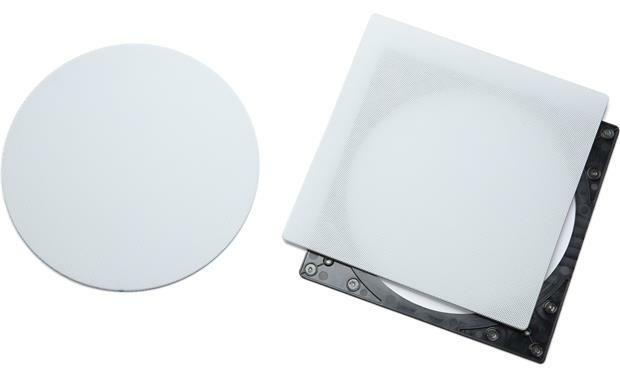 Choose the one that best fits your room — it's a breeze to attach. 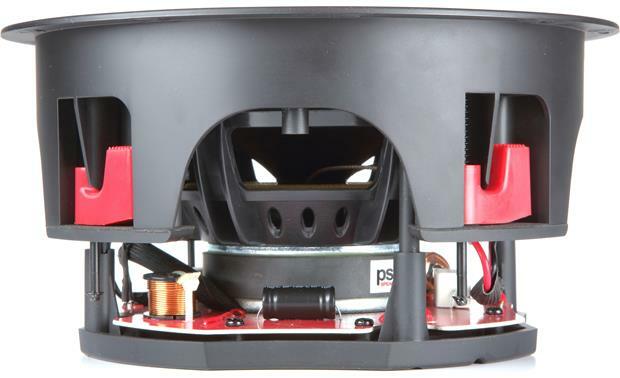 PSB's rotating-cam design makes your in-ceiling installation straightforward. Once you have the CS610 in place, simply use a screwdriver to tighten each cam for a secure grip against the back of the ceiling. 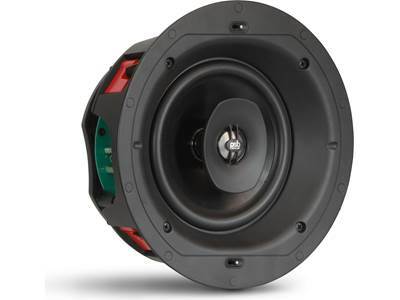 Aimable 0.75" Aluminum Dome Tweeter: The 0.75" aluminum dome tweeter, another proprietary PSB driver, is concentrically mounted and features a carefully engineered Wave Guide and ball-joint pivot mount assembly. 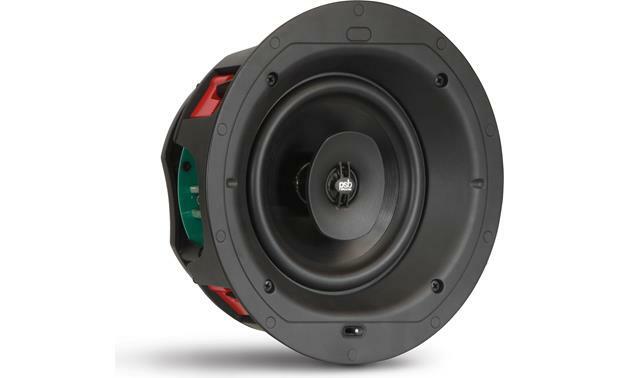 This allows the tweeter to go lower in frequency, creating a perfect blend with the woofer in the crossover region, and allows the tweeter to be aimed toward the listening position for enhanced musical imaging. 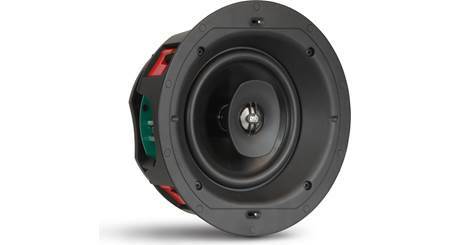 Tweeter Level: Adjustment for the level of the tweeter allows you to "dial-in" the upper frequency response of the speaker and its acoustic environment after installation to achieve the most musical balance for every room. 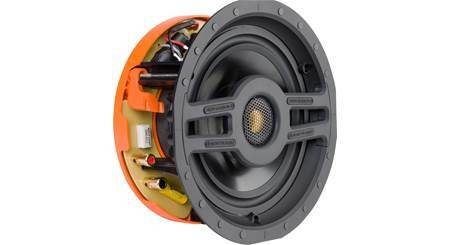 The tweeter level switch is found on the front of the speaker and can be set to +3dB or 0dB. 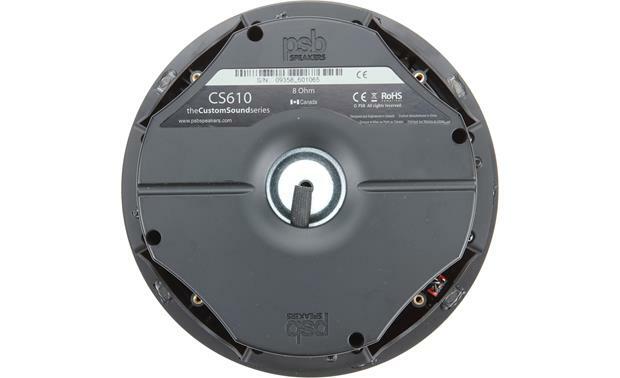 Searches related to the PSB CS610 In-ceiling speaker.